C24. 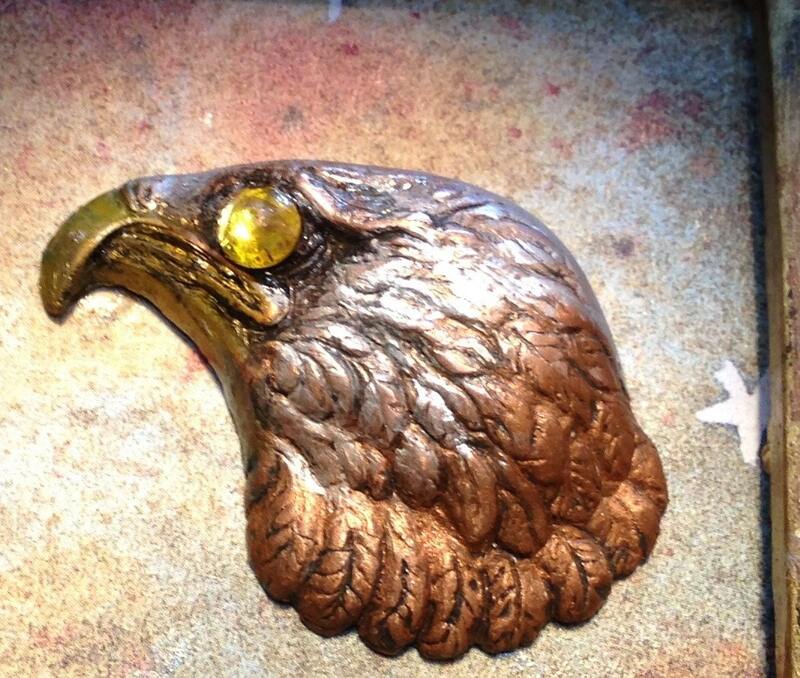 Regal sculpted (eagle head facing left) with Swarovski Crystal eye. 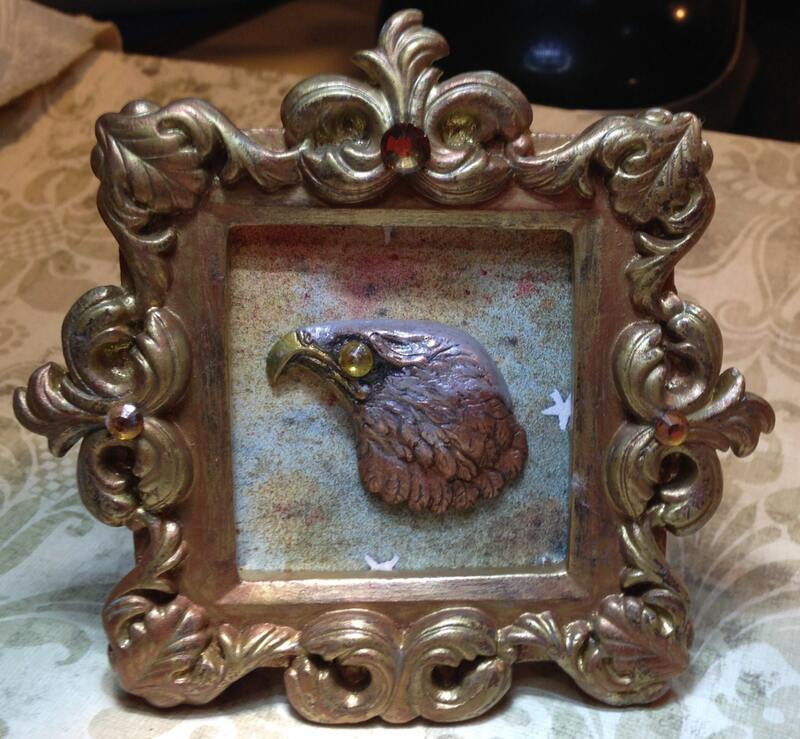 Pure copper eagle, feathers given color and patina from gilders paste. 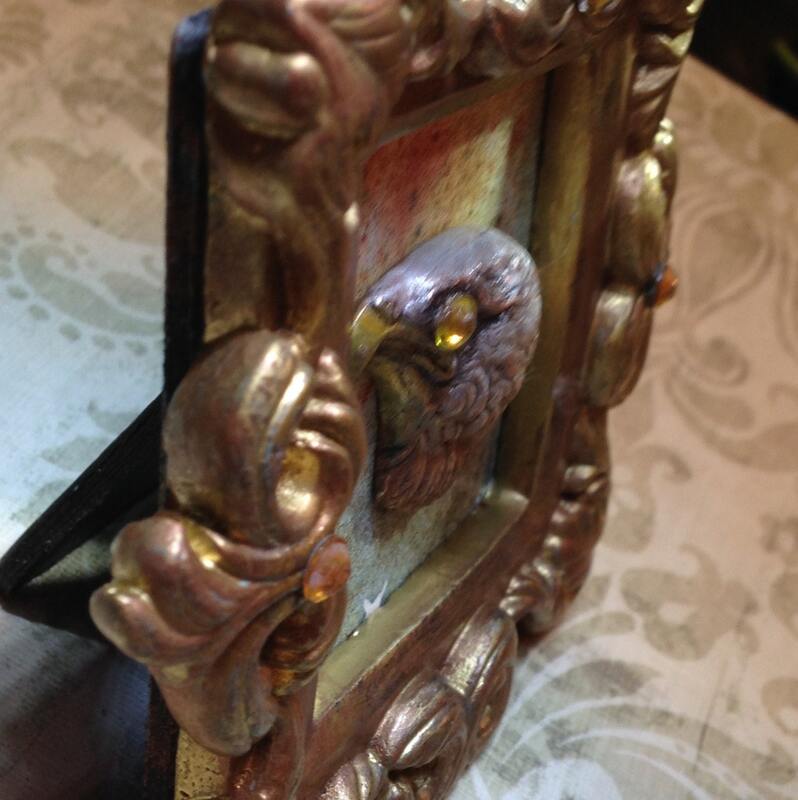 Eagle is mounted in a wood frame with stand. 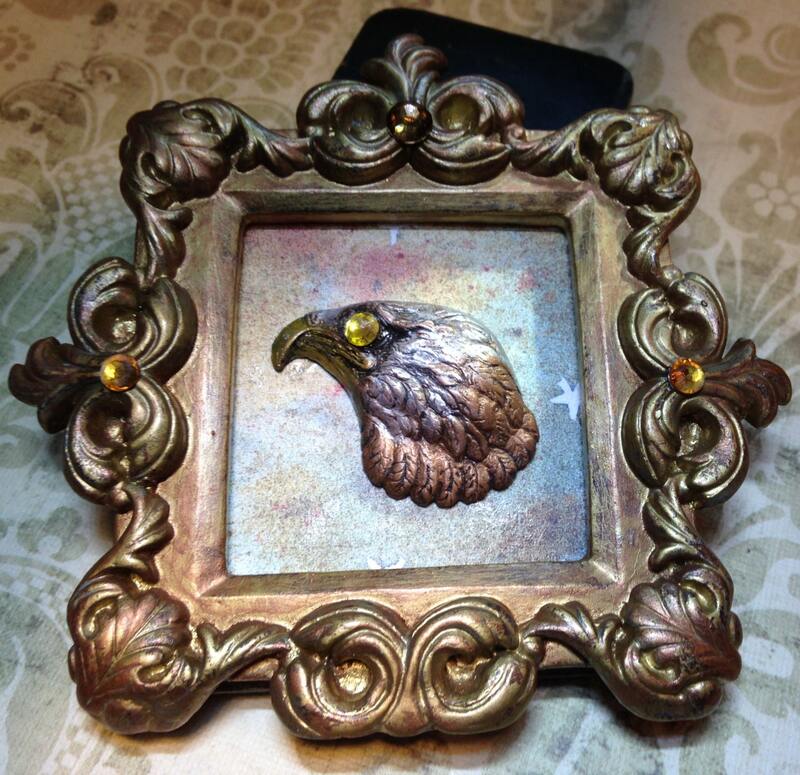 Frame is ornate with decorative leaf and swag design and with 3 amber Swarovski Crystals. 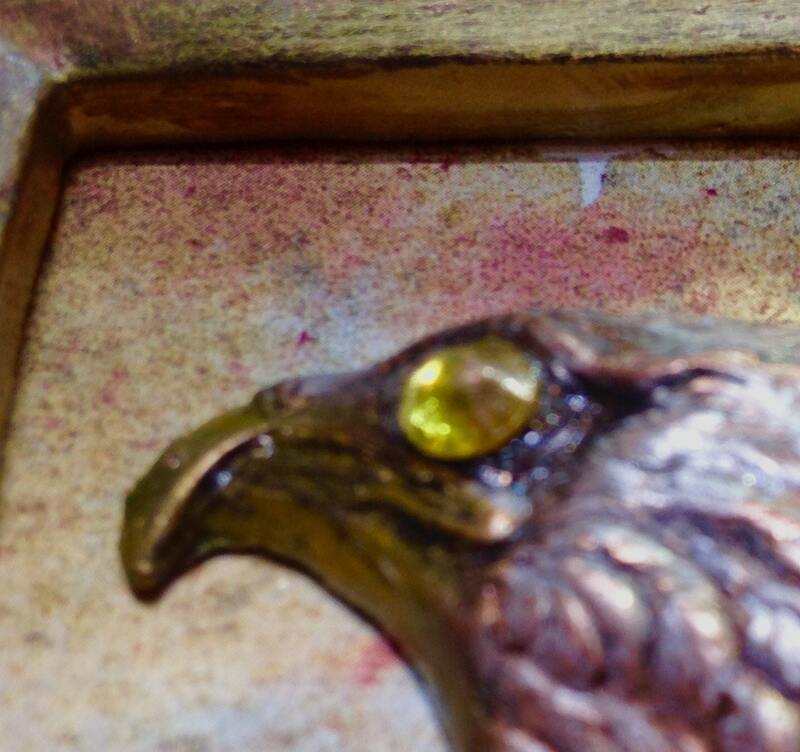 The frame has been gilded with gilders paste, matching the eagle. This is a perfect gift for someone in the service, or a Veteran. It is a piece of Americana and a super unique collectible. This should be treated as a piece of fine jewelry. It should not tarnish as it's been coated with a sealant. However, enclosed in your package will be a small jewelry polishing cloth as a gift to you. Shipping for one item is $5.95 via USMail, and the package will be tracked. However, if two purchases are made at the same time, they can be shipped in the same package for no additional postage.